Whether you have a special someone or are lovin’ the single life, every girl has envisioned what she’ll wear on her big day. And if he (or she!) finally put a ring on it, it’s time to start making that vision a reality. Luckily, bridal brand BHLDN is opening its first shop-in-shop inside the Beverly Hills Anthropologie, its sister label. L.A. brides can schedule one-on-one consultations to pin down the perfect look. Trumpet or mermaid, ball gown or sheath — stop by the grand opening to check out all the fab styles! 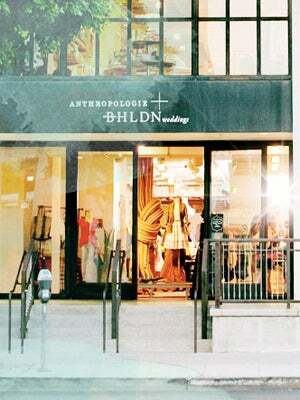 When: Wednesday, July 10, 10 a.m. to 8 p.m.
Where: Anthropologie, 211 South Beverly Drive (near Charleville Boulevard); 310-385-7390.